Lunch Buddies promotes mathematical thinking and reading literacy among elementary school students. The in-school program additionally boosts school engagement by affording underserved children the opportunity to build trusting relationships with non-family adults. Tutoring opportunities are available in Palatine (math and reading) and Des Plaines (reading). 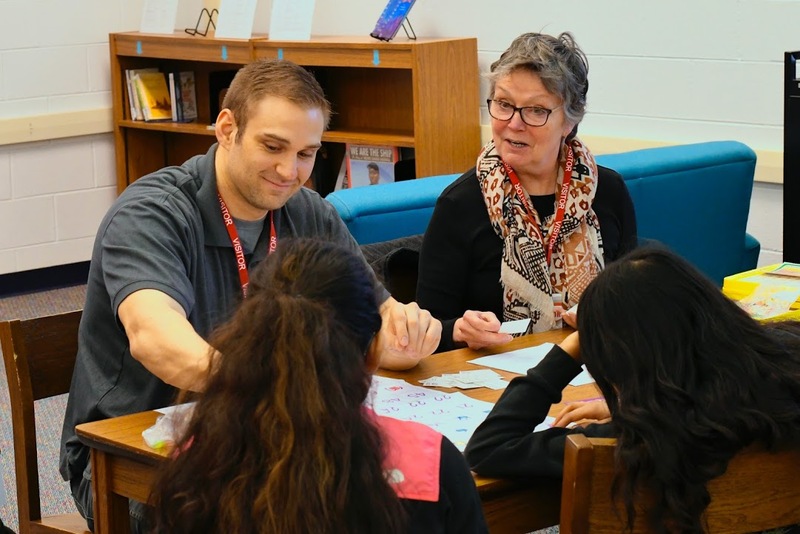 Caring mentors are needed in Mount Prospect. A once-a-week commitment for one school year is strongly preferred. Applicants must be willing to undergo a background check. Every dollar raised delivers measurable results that support our aims of strengthening foundational math and reading skills and cultivating positive attitudes toward learning. 55% of the 6th graders achieved satisfactory school attendance and grades. 71% of the 4th graders increased or maintained their fluency with multiplication facts. Increases ranged from 3% to 17%. The percentage of 3rd graders who think reading is hard dropped 31 percentage points, and the number who think they are good readers jumped 37%.